OMG Posters! 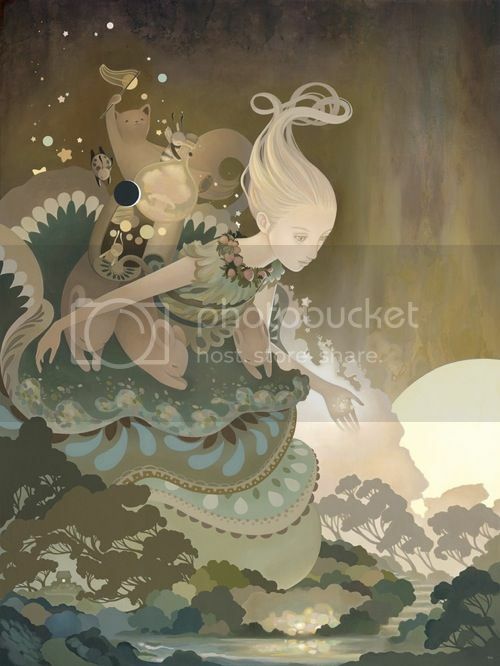 » Archive "Cosme" Art Print by Amy Sol (Onsale Info) - OMG Posters! Amy Sol has been creating some really beautiful work lately, and she’ll have a new print out this weekend. “Cosme” is a 17″ x 22″ giclee, has an edition of 50, and will cost $150. A few are available now HERE, the rest go up Saturday, November 3rd at 1pm Pacific Time. Visit AmySol.com. Nice. I will have to debate this one for a bit. Limited wall space and framing and laziness means that this has a chance to join other tubes just sitting in my office. Your”Cosme” art print really speaks to me. It is a beautiful visual contemplative piece in which I can be lost. I would love to pair this with an Ektar Tolle quote. If you ever decide to make this print available again, I would appreciate the information. Thank you.